Notice: U.S. Citizenship and Immigration Services (USCIS) has improved the reporting procedure for processing times of immigration benefit applications. In the past, USCIS benefit processing reports indicated the specific type of applications or petitions that were being processed and the date the cases were received. 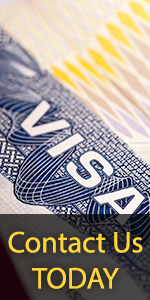 However, the date the case was received did not provide a clear indication of when USCIS expected to complete the case, nor did it provide a clear indication of USCIS’ commitment to process cases within a certain cycle time. It also did not align with the processing times and cycle times the agency reports in other contexts. This improved reporting procedure is an effort to give our customers more accurate information that better reflects current processing time and USCIS service level commitments. Effective immediately, when we are completing applications and petitions within our service level goals we will report the USCIS service level commitment. For example, when our service level goal is to process a particular kind of case within six months, and if our processing time is six months or less, we will show "6 months". When we are not meeting our service level goal, the date posted will reflect the filing date of cases that are being completed. It should be noted that while in some instances reported processing dates may appear to have regressed due to this change, they do not reflect a lengthening of USCIS processing times, but simply the change in reporting. Our goal is to provide accurate projections and thus give customers clear expectations as to what they can expect as a processing time. Case processing will be delayed if we must ask you for more evidence or information. If we ask for missing required initial evidence, count the processing time from when we receive that missing evidence. The case processing timeframe will start over if a customer doesn't appear for an interview or asks that it be rescheduled. What if I have a problem or have questions about a case? Case Services - How do I… know what kind of services are available to me after I file my application or petition? One additional point about these projections. They are the time to complete processing and mail the actual notice and/or document. If you check case status online and see that your case has been approved, and you haven't yet received your approval notice or document in the mail, we ask that you wait thirty days from the approval date before contacting us. That is because it may take that long before it is returned to us as undeliverable. You can also print the case status online answer for your records.